As NBC goes into their promotion cycle for the first two-hour episode premier for season 10 of The Voice, at least one former 2012 contestant RaeLynn — formerly of team Blake — has officially tied the knot. According to Entertainment Online she was married in the presence of Blake Shelton and Gwen Stefani who are currently still with The Voice, over the weekend. The source states that the wedding took place on a Franklin plantation in Tennessee, and that she had initially invited Shelton’s former wife Miranda Lambert, but politely declined. The former Voice singer had formed a strong relationship in 2012 with Shelton and his then wife when she was picked for his team until — according to The Country Vibe — he had to make a difficult decision and eliminate her. Despite this they’ve clearly remained friends and the report by ET also says that RaeLynn was ‘gushing’ over Stefani. The Voice‘s Blake Shelton has built such a good relationship with the show alum that People reported he that threw an ‘ugly sweater’ party for her and her boyfriend in December of last year, while introducing her to Gwen Stefani. Not only is her new husband previously her longtime boyfriend, he is also her financial adviser. And while ET does provide details of the wedding, US Magazine goes even further, and stated that the wedding was “whimsical” and from RaeLynn herself, it was meant for everyone to have a good time. 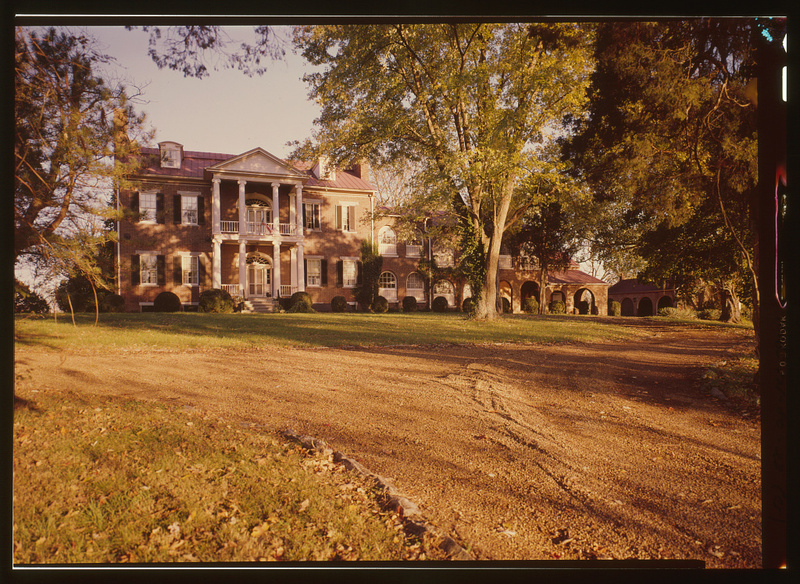 Previous Voice contestant RaeLynn was reportedly married either on or near this Isaac Franklin Plantation house, in a barn. [By Jack Boucher, Public Domain]According to The Country Vibe, it is said that Blake Shelton admits RaeLynn reminds him of a younger version of his ex-wife, Miranda. Since RaeLynn was eliminated from The Voice, she has continued on an uphill climb to success with the release of her EP “Me” in January of 2015. In another similar reach into the past, reports over a “leaked” video of a blind audition for The Voice, is of a former child star from director John Hughes’ Curly Sue from 1991, Alisan Porter. The story stated that Porter blew away the judges and will be someone to pay close attention to during the season. The Voice‘s Gwen Stefani, left, and Blake Shelton attend the 2016 Clive Davis Pre-Grammy Gala at the Beverly Hilton Hotel on Sunday, Feb. 14, 2016, in Beverly Hills, Calif. [Photo by Chris Pizzello | Invision | AP]But the marketing for The Voice has sometimes taken a somewhat darker tone, with regards to the relationship between Shelton and Stefani. The Inquisitr, for instance, reported that there was possible gossip being spread about Lambert, who was being accused of stalk texting Stefani, which the article also says Lambert denies, hoping that the couple are happy. According to Entertainment Online, RaeLynn mentions Lambert as giving her advice about relationships and finding the right person. The Inquisitr also wrote in another article that Stefani was recently teasing before the new season of The Voice begins, a baby bump to flaunt her brand of products; taking advantage of the rumors that the couple are expecting, and making a joke of it. The United State’s version of The Voice is the longest running of the various international spin offs across the globe, and sees the return of Christina Aguilera as judge to replace Stefani, who will take on a more advisory role for boyfriend Shelton. New Jersey Online goes into more details on the show’s schedule and format, with the new line up of singers. As of this writing there is no information on whether former Voice participant and newly married RaeLynn, will be putting out any new material in the near future.